Welcome, Today I'm sharing a gift I made for a birthday. It was very easy to make. I was very happy with the way it turned out. You might remember that this stamp set is a favorite of mine. I like the vintage look in almost everything. 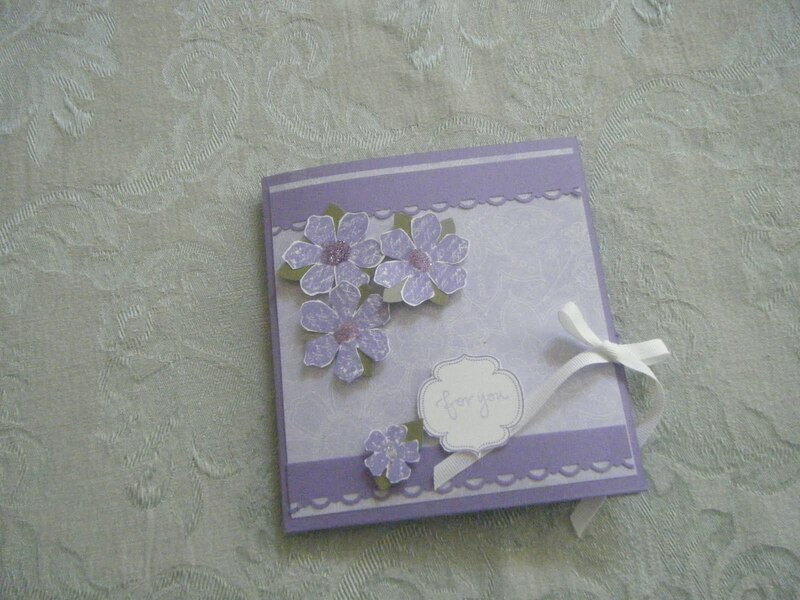 Here is what I used to make this gift. 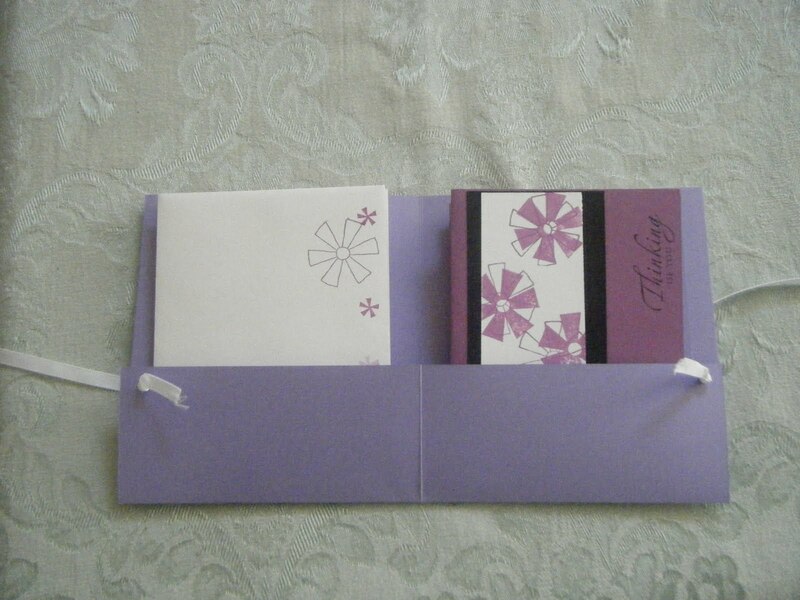 Here are the cards inside the folder. They were easy and fun to make. 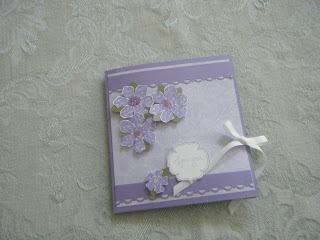 I am so missing the lavendar papers and inks. I just really wanted to show off the folder. (ha) My friend loved her gift.